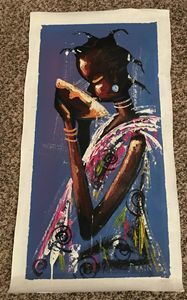 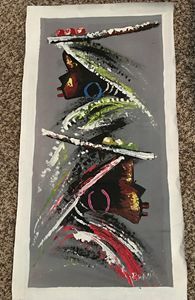 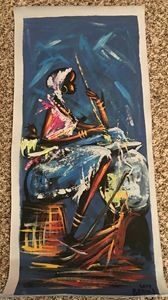 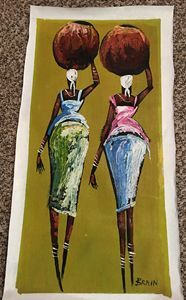 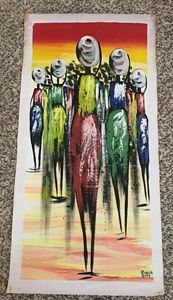 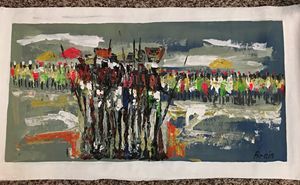 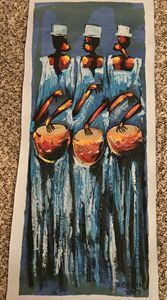 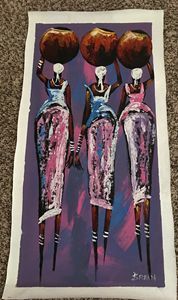 Authentic African Ghanaian Art signed by Artist. 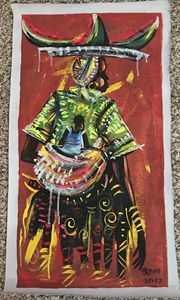 Vibrant colors on canvas. 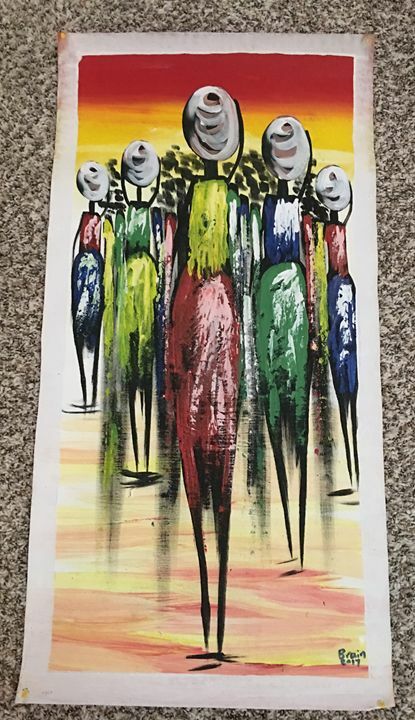 Customer will need to have framed. 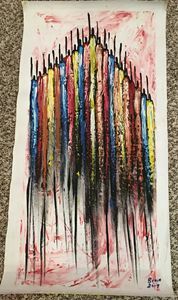 Original Painting signed by Brain. 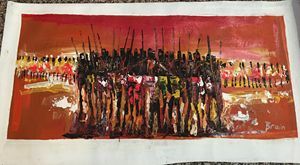 Original Paintings signed by Brain.